The tax code is complex. It’s easy to fall behind. The IRS is notorious for aggressive tax collections when taxes go unpaid or returns are missing. Penalties and interest can rack up faster than the worst credit card, and the IRS can literally empty your bank account. Unfortunately, tax debt negotiation is a very bad “do it yourself” project. If you have an IRS issue like a bank levy, receivable garnishment or missing tax returns, getting professional guidance with tax relief from a licensed Enrolled Agent or other licensed tax relief professional is a smart first step to formulating a winning plan. You can read more here about business tax relief. Because there are so many factors affecting your rights and options under the IRS tax code, it’s impossible to determine what strategy is best for you without a conversation. However, the following is a list of potential options for resolving your tax issue. 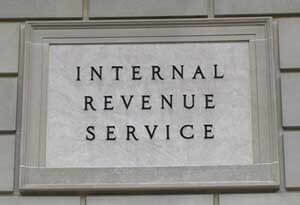 Most of our clients can’t pay all of their back taxes in the time frame that the IRS demands. We can negotiate terms that fit their budget. Depending on your income and assets, a “Pennies on the Dollar” settlement may be an option. The IRS is not known for giving gifts and doesn’t approve many OICs. That said, we have gotten many for our clients, with some savings in the hundreds of thousands of dollars. This can be viewed as a hybrid between an Installment Agreement and an Offer in Compromise. Many of our clients at present don’t have the funds for an installment arrangement, though their assets or income make an Offer in Compromise impossible. For these clients, we may pursue a “CNC” status. Sometime it is the closure of a corporate entity provides the most tax-saving benefit. With specific types of IRS tax, doing things in the proper order and acquiring the necessary documentation and releases from the government can save substantial amounts of money.